You could install this module as separate module for Sitecore 7. 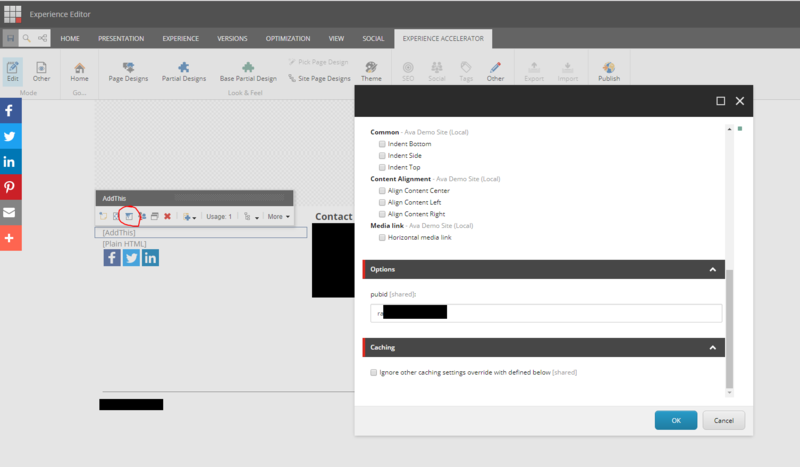 For Sitecore 8, it was already integrated. 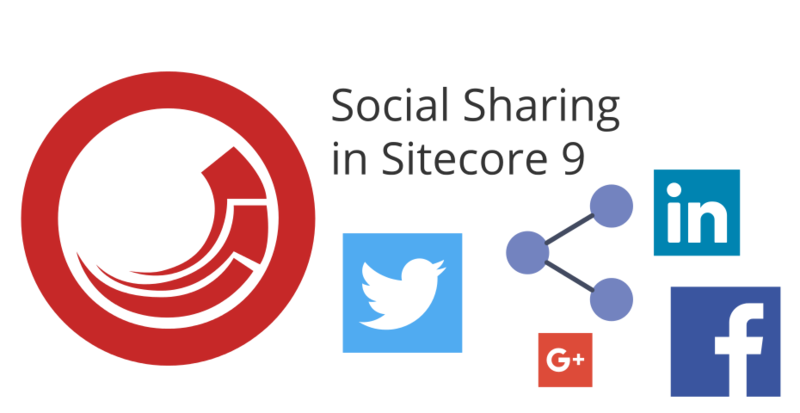 I have contacted Sitecore and also asked on Sitecore StackExchange whether Social Connected module with be integrated into Sitecore 9 but I haven’t received any official response. I saw Sitecore page with alternatives like Slackla and Telligent but they aren’t actually alternatives as they are serving different purposes than this module. For our prototyping purposes, we have decided to go with mixed custom & SXA solution as we have already used SXA in our project. Mixed solution contained front end (FE) which used SXA and also back end (BE) part which was custom developed. On FE side we have used SXA and its AddThis component together with our AddThis account. For this widget, we didn’t have to do any special settings in SXA as we had AddThis code in footer already so AddThis is placing this widget automatically which was great for our purposes. On Back End side we have done custom solution. 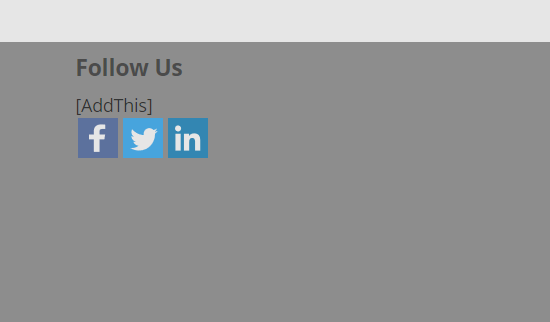 We have added buttons to Content Editor to its ribbon for certain templates. Items based on these templates where then shareable on Facebook and LinkedIn. 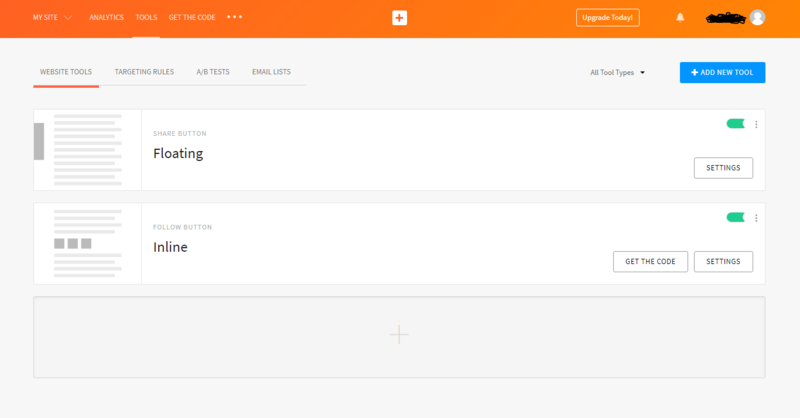 Because of the time constraints, we have made simple integration just by using share urls. We haven’t done full integration using Facebook or LinkedIn API’s. 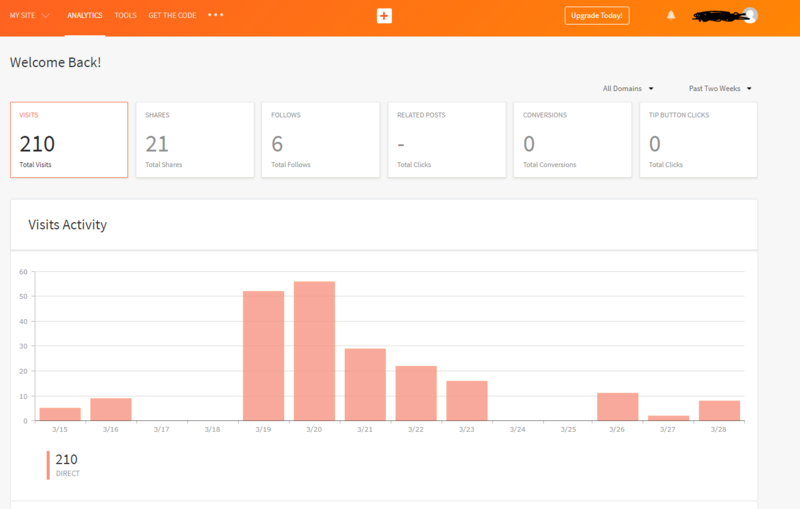 With this mixed approach we gave ability to share pages/items to visitors of the site on their walls and activities and also for content editors to share pages/items on company Facebook/LinkedIn pages. I described this approach and also complete process of creating custom buttons in Sitecore Ribbon in this blog post.